It’s mid-December and the college basketball season is in full swing. I started my 2017 hoop adventures in Salisbury, NC with the Livingstone College Blue Bears. They opened up their gym for the first time this year to host Paine College. The CIAA versus the SIAC; as usual we were treated to a physical contest. The Paine College Lions opened up shooting the lights out from “3” on their way to a nine-point first-half lead. But Livingstone’s scrappy defense and a great mix of interior force and accuracy on the perimeter eventually sealed the deal. One of my favorite games from the 2016- 2017 season was Livingstone’s road victory against Johnson C. Smith. Not only was it a great game but I found two of the most dedicated HBCU basketball fans I had met all year. The Livingstone fan, who I dubbed “My dude right here” turns out to be none other than the older brother of Livingstone Senior swingman Remel Belfield. He was back to his old antics this season but this time he had a courtside seat and no opposing “grannies” to make him bite his tongue. 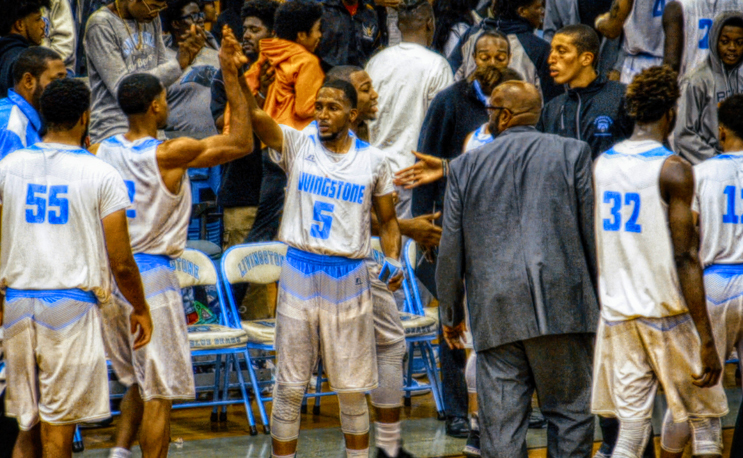 Check out the video from last years Livingstone vs Johnson C. Smith game and see for yourself.